How often do you leave your soft contact lenses in for just a few days extra? It's a fact of life that things are better when they are fresh. Guess what? The same principle is also applicable to your contacts. There is no shortage of reasons not to leave your contacts in your eyes longer than you need to. Despite that fact that it might not seem so bad to use them just one more time, if you care about your eyes, follow the lens schedule given to you by your optometrist. So, if you've been told to use a new pair every two weeks, then change them every two weeks, because they can't be worn any longer than that. You might think, can't I get a few more days out of them? To better comprehend this, let's examine protein – not the dietary kind, but the natural protein that is a main component of the tears and eye fluids that slowly accumulates on your lenses, forming a mild haze. Blurry vision is just the initial result. Eventually these proteins change form and make your immune system think the accumulation is a foreign particle, which in turn can lead to itchy, swollen and irritated eyes. And when this occurs, your eyesight suffers. But even when people take great care of their contacts, as time goes on, they stop being as smooth and clear, due to normal wear and tear. 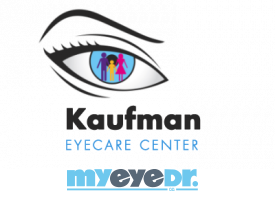 The best thing to do is adhere to the schedule your optometrist advises for you. Nobody has the same eyes, so only your eye care professional should determine the best contact lens replacement routine for you. When you change your contact lenses when you're told to, you'll never notice the difference that is so obvious when you wear them any longer than you're meant to.